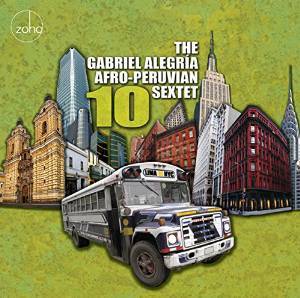 The album 10 commemorates the ten years of activity by the Gabriel Alegría Afro-Peruvian Sextet, probably the most renowned Afro-Peruvian jazz ensemble of the moment. Alternatively based in Peru and New York, this band features the internationally awarded Peruvian Latin-Jazz musicians Gabriel Alegría, Hugo Alcázar, Yuri Juárez, Laura Andrea Leguía and Freddy “Huevito” Lobatón, as well as international performers John Benitez and Shirazette Tinnin. 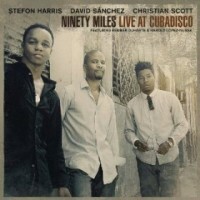 This album, the fifth in the sextet’s trajectory, also features first-class Afro Peruvian and Latin Jazz invited musicians. 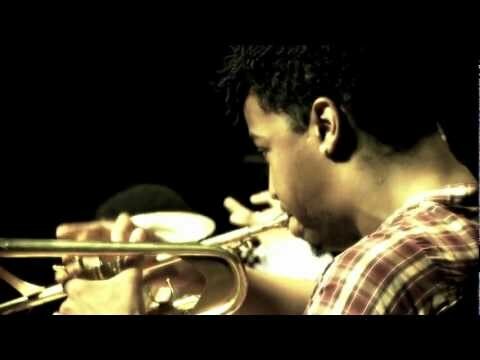 One feature that deserves to be highlighted about the sextet’s work in 10 is the deep “popular” character of its sound. 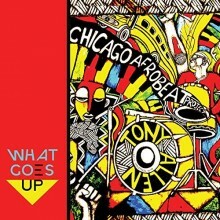 The blend between Afro-Peruvian music and contemporary North American jazz reaches a new level of maturity in this album. 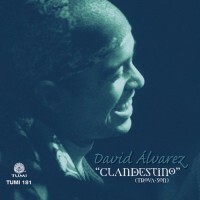 In the fantastic previous work of Alegria’s sextet in the albums Nuevo Mundo (2008), Pucusana (2010), Afro-Peruvian Jazz Secrets (2012), and Ciudad de Los Reyes (2013), two musical streams can be clearly perceived: very traditional sounding Afro-Peruvian beats on one hand, and the very characteristic virtuosic—I would even say “academic”—sound of contemporary North American jazz on the other. This blend takes a significant step further in 10, an album on which the two streams are more difficult to take apart, as its sound is very global in terms of the musical elements of mainstream jazz it uses, but at the same time sounds profoundly Afro-Peruvian. 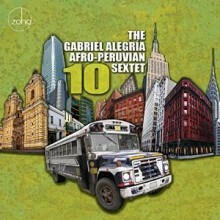 The ten songs included on 10 are Afro-Peruvian jazz versions of a blend of songs that include popular jazz compositions, Peruvian traditional tunes and even two national anthems. In my opinion, the creative job that the sextet did with these pieces is fantastic. In the adaptation of these pieces to their Afro-Peruvian jazz versions, Alegría and his crew re-engineered them in such a manner that, while maintaining the reference to their originals, they constitute significantly different compositions. 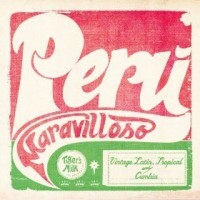 Particularly interesting is re-conceptualization of Peruvian songs such as “Taita Huaranguito,” “El Condor Pasa” or “Contigo Perú.” The creative work of Alegria’s sextet on these very popular songs, often considered as over-exposed by Peruvian audiences, insufflates them with new life and fully exploits the creative possibilities that these pieces offer. 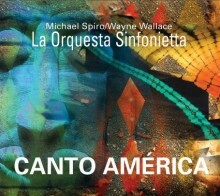 One of the most interesting surprises of this album is the participation of not only world-renowned musicians from the jazz and Latin jazz scene such as Ron Carter or Arturo O’Farril, but also of Peruvian enshrined Criollo and Afro-Peruvian musicians such as the legendary composer and musician José “Pepe” Villalobos, guitarist Gustavo Urbina, and singers Rosa Guzmán and Félix Valdelomar. While, as a Peruvian music aficionado, I missed a more extended participation of these Peruvian musicians in the album, their contribution in “a,” “b” and “c” through choirs, “guapeos” (vocal interjections), and guitar accompaniment are remarkable and significantly enrich the songs. These perfectly complement the traditional musical baggage that members of the sextet—such as Afro-Peruvian master musicians Yuri Juárez and Freddy Lobatón—already carry. In sum, 10 is not only remarkable as an album, but also as an example of how to conduct a respectful fusion project that incorporates not only traditional sounds but traditional performers as well. This album represents a significant step in the sextet’s already remarkable trajectory and keeps the expectations high for the band’s future releases. 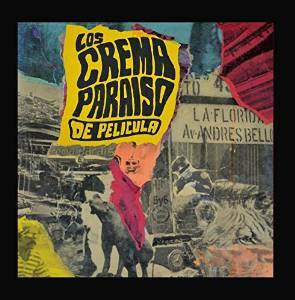 Los Crema Paraiso’s De Pelicula is a collection of covers, standards and originals that is united by rhythm for listeners who love music that plays with time. Los Crema Paraiso doesn’t just play in 4/4 or 3/4, but goes with other signatures, including 2/3 and 5/7, so if you are a beat junkie then Los Crema Paraiso has something for you. The covers on this album include surprising selections from a variety of styles of music; however, the album is programmed and arranged in a way that makes the divergent repertoire seem like a comfortable collection. Songs include a nod to their home country with a folk-style tune by Venezuelan National Composer Juan Batista Plaza, “El Currucha,” a fizzy number about the singer’s love and desire for her black girlfriend, complete with a breath-taking delivery with by Andrea Echeverri. “Varon Domado” features Alberto Ferreras aka Rocco Tarpeyo rapping a queer riff off the title “The Manipulated Man,” likely a tongue-in-cheek reference to Argentinian author Esther Vilar’s controversial book of the same name from the 70s. Then, wait a minute, isn’t that the opening drums and bluesy guitar line from Depeche Mode’s “Personal Jesus”? It is, but it quickly blooms into an Afro-Latin dance tune with Neil Ochoa, Jose Luis Pardo and Alvaro Benavides switching time signatures to Carol C.’s compressed smoky vocals, reinventing the original song. The whole album feels like a well-choreographed party with a band who knows how to work the crowd, rocking hard one moment with a track like “Un Disip En Nueava Vol,” bathing a Depeche Mode hit with reverb, then working a psychedelic breakdown into a Venezuelan standard. Los Crema Paraiso switches it up just enough to keep the energy flowing and makes every song on De Pelicula their own. Some of the standout collaborations on the album are with Banda Wiracocha, Kevin Johansen, and Rebel Diaz. Banda Wiracocha is a thirty-piece brass band from Iquique in the North of Chile. Their specialty carnival music brings a big-band feel to the title track “Reina de todas la fiestas.” Argentinian pop star Kevin Johansen is featured on “Los nervious que te di” with the chorus sung in unison by all nine members of Chico Trujillo. Rebel Diaz is a hip-hop group from the Bronx led by two Chilean brothers, and they are featured on “Chatito,” a slower cumbia track with a great electronic keyboard part. Chico Trujillo gave the album a high bar when naming it Reina de Todas las Fiestas, but through their international collaborations, years of experience, and larger than life sound, they proved themselves once again as the kings of cumbia and the queen of all the parties. What do you get when you fuse three of the most prolific musicians, arrangers and composers of today’s pop-jazz commercial recording industry? An embarrassment of riches that would make any red-blooded Americanist glow with pride, Eternamente Manzanero pleasantly synthesizes the quality, style and sounds of an outstanding team of professionals in this New World production. 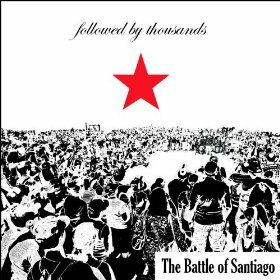 Recorded in Tarzana, California, the slow and romantic bolero genre anchors this album. All songs featured were pulled from Mexican native Armando Manzanero’s compositions spanning over a fifty year period. Winner of the 2014 Grammy Lifetime Achievement Award, the music world owes much of the popularization of the bolero filin—a Cuban style that enhanced the traditional bolero with jazzier chords and vocal intepretations—to Manzanero, the premier Mexican composer of romantic music of the post-war era. Ten time Grammy Award-winning Cuban trumpeter Arturo Sandoval is most popularly known for his virtuosic improvisational ability and his flawless execution of musical acrobatics in the upper tessitura. Presenting his listeners with a reserved approach in Eternamente Manzanero, Sandoval continues to redefine his musical reputation. 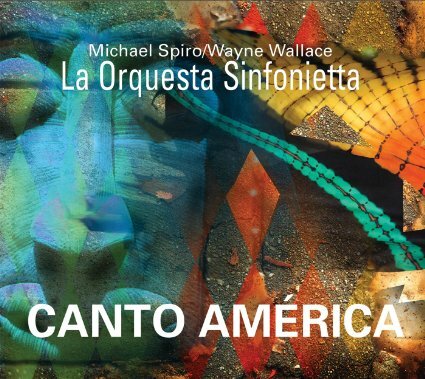 On this release, his role as principal vocalist is a surprising stretch and his interpretation of Armando’s carefully chosen repertoire is delightful. Most impressive is Arturo’s crooning ability and subtle trumpet adornment in “Voy a Apagar la Luz,” all transformed by the scrumptious string arrangements of Argentine composer, orchestrator, arranger and co-producer of the album Jorge Calandrelli. Projecting longing and loss in “Te Extraño,” pointed musical influence from the southern cone is heard through the use of the accordion. 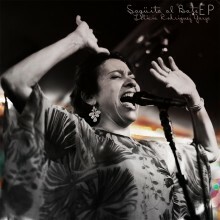 And for those that can’t get enough of the pop-jazz sound, “No Se Tu” is a definite must-listen. 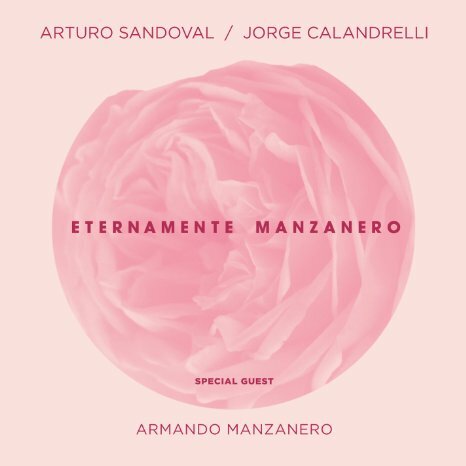 Eternamente Manzanero can be described as a contemporary Latin-jazz album that unifies the vast experience and musical curiosity of three music giants of Latin America. A recommended purchase for lovers of jazz-pop fusion and fans of Manzanero, Sandoval, and Calandrelli. The French/Cuban twins Lisa-Kainde and Naomi Diaz make up the band Ibeyi, which is the Yoruba word for twin. The 20 year-old sisters’ self-titled debut album, released on XL Recordings, is one of few albums produced by the head of XL Recordings himself, Richard Russell, and is a masterful mix of culture and music. Despite growing up in France, Ibeyi sing in both English and Yoruba, and often use Afro-Caribbean instrumentation. Their interest in Yoruba culture, language, and music reflects the heritage of their late Cuban father and acclaimed percussionist, Anga Diaz. Though both sisters sing, on most songs Lisa-Kainde takes the lead vocals and plays piano, while Naomi plays the cajón and batá. However, what really makes this duo special is the joining of their voices to create ethereal harmonies. With a much slower start, “Behind the Curtain” begins softly, as a ballad about losing a love with only piano and vocals. Their questioning lyrics try to comfort as well, as they sing “Baby, just have no fear. I am here.” Much like in “Ghosts,” percussion enters three minutes into the song, joining Ibeyi’s harmonies as they sing in Yoruba while the piano plays softly in the background, cyclically bringing the song to a conclusive end. With a heavy beat and a previously unheard bass, “Stranger/Lover” has a more complex production than most of the other tracks, merging soul music with electronic music and replacing the usual vulnerability of the vocals with strength and boldness. 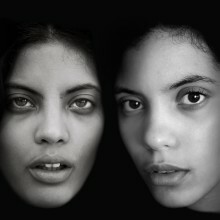 It is an example of the diversity of Ibeyi and their potential to tap into many different genres while retaining their unique style. “Mama Says,” an emotionally moving track about a woman who has lost her love, is obviously very personal for the sisters, who lost their father when they were only 11 years old. 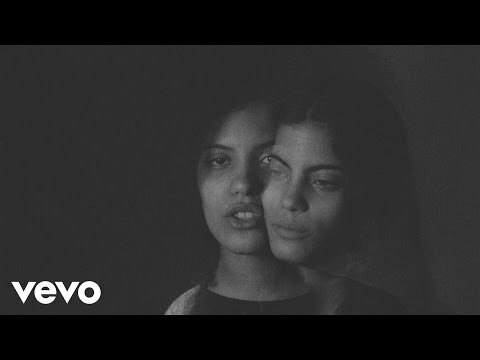 The music video draws on this emotion, featuring only Ibeyi and their mother with a simple theme of darkness versus light. This sentiment carries over to “Yanira,” written to honor the twins’ deceased older sister. While relying more heavily on percussion, including the batá and hand claps, Ibeyi’s characteristic strong harmonies are still present and vocals remain in the forefront, leaving all other instruments as merely accompaniments and accents. Ibeyi use their connections to family and past experiences, whether despairing loss or their Yoruba heritage, to create beautiful music. They have a unique style that draws the listener in and captivates with deep emotion and interesting arrangements. Ibeyi is an exciting collision of traditional and modern cultures that showcases the incredible talent of Lisa-Kainde and Naomi Diaz. It also bursts with potential: with such a strong debut album from such young artists, one can only imagine where Ibeyi will go next. Riding the retro waves of South American surf rockers, Duncan Ballantyne, Martin Morales and Andres Tapia have gifted us with a thoughtful compilation of Latin and Tropical music from a bygone era. Meticulously curated, Peru Maravilloso: Vintage Latin Tropical and Cumbia is a superb collection of the psychedelic sounds, pentatonic melodies, wah-wah pedals, Farfisa organs and Moog synthesizers of the chicha genre. Chicha has been on the rise internationally and in its native homeland since the Barbès Records 2007 release of Roots of Chicha: Psychedelic Cumbias from Peru, a compilation featuring fifteen handpicked rare treasures from one of Peru’s most innovative musical periods. Also known as Peruvian cumbia, chicha gained momentum in the 1960s during its early incubation period. 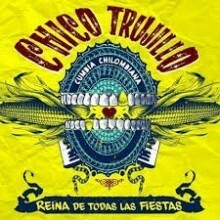 This fusion genre may be described a subgenre of Colombian cumbia that combined elements of Andean and rock music. Chicha takes the feel of cumbia, champions the musical cannibalism of Brazilian tropicalia, all while adding components of traditional highland huayño (from the Peruvian Andes), criollo (classic Peruvian folk music) and the rhythms, texts and instrumentation of the Afro-Peruvian community. The selections on Peru Maravilloso do not fit neatly within one musical genre. Even the obligatory inclusion of the traditional folk song “Toro Mata” went through a refreshing transformation arranged as an orchestral-jazz instrumental. 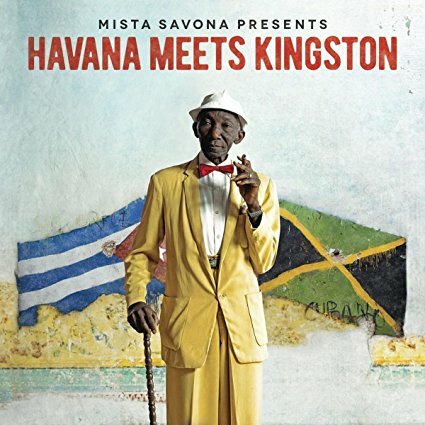 Cuban musical influences are everywhere in this album—most obvious is the son montono “Pirana” by Pedro Miguel y sus Maracaibos and “La Gallina” by Feliz Martinez y su Chavales. Most appreciated were the soulful “Sueño de amor” by Zulu and Lucho Neves’ “Mambo de Machaguay,” synthesizing the quintessential Peruvian huayño rhythm with jazz piano licks. This is a special album for collectors and will appeal to those that find themselves in harmony with artists like the Beatles, Jimi Hendrix, and Os Mutantes. All of the tracks included have been specifically re-mastered from the original 7-in. and 12-in. formats and have never been re-issued since their original release in Peru. If you are a frequent face at the Latin Alternative Music Conference and appreciate the commingling of indigenous and urban music traits, then this album is an essential purchase. 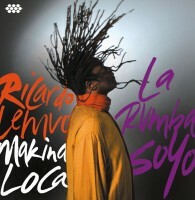 A native of Congo-Kinshasa now based in Los Angeles, Ricardo Lemvo and his band Makina Loca have become known for their fusion of Congolese and Cuban music, deftly blending rumba and soukous with son and salsa. 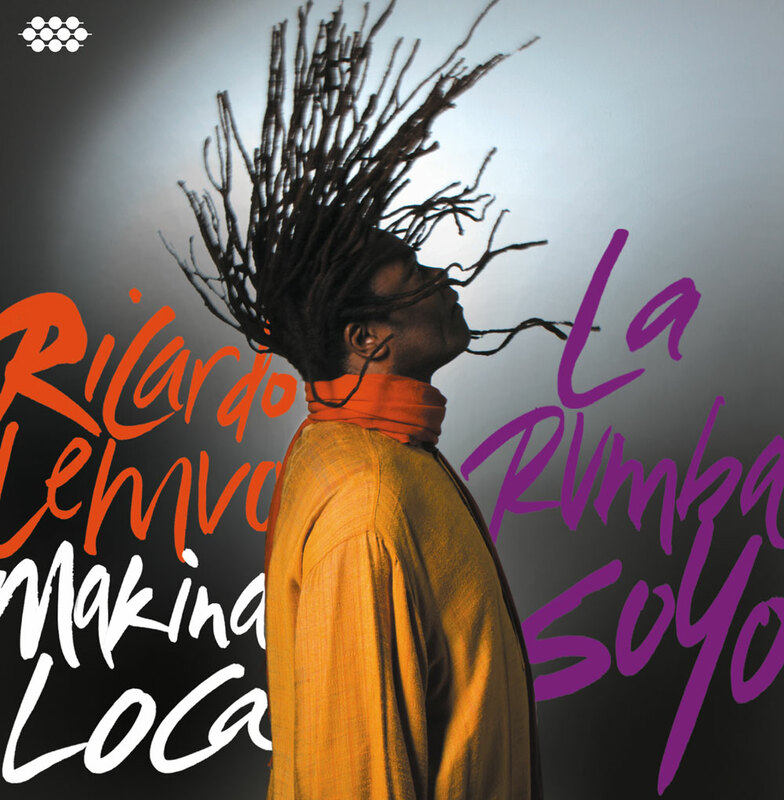 Fully embracing the concept of world music, their new album La Rumba SoYo was recorded on three continents and four countries—the U.S., Canada, France and Angola—and is sung in a mix of Portuguese, Spanish and indigenous Angolan languages. A fan of Cuban music since his youth, Lemvo could often be found immersed in his cousin’s large collection of vintage Cuban LPs. More recently he has been mastering Angolan styles and rhythms such as samba and kizomba, and these feature prominantly on three of the album’s tracks written in collaboration with Angolan songwriters: the humorous “Dikulusu” (A Heavy Cross) about a man who complains that alimony payments are ending up in the pocket of his ex-wife’s husband, the rumba “Padre George” about a man who seeks advice from his priest, and “Simone CM,” a kizomba love song similar in style to the Caribbean zouk. On the title track, Makina Loca aim to kick off summer celebrations with a song tailor made for partying. Drawing heavily from Caribbean merengue and Congolese soukous, the band creates infectious dance rhythms that will lift your spirits while you kick up your heels. Other album highlights include the festive opening song “Santo António do Zaire,” blending Cuban son montuno and Congolese rumba, and the salsa “El Caburnacho” which fully utilizes the band’s terrific horn section. Popular performers in salsa clubs from Cartageña to Tokyo, Makina Loca are touring the U.S. and Canada this summer in support of their new album. In July and August you can catch them live in California, Chicago, Ann Arbor, and London, Ontario. Puerto Rico is not only known for it luscious landscapes and the coquí. The island is also home to two highly influential music genres, bomba and plena, both of which served as a backbone of musical experimentation during the golden era of salsa. During the 1950s and 1960s, various Puerto Rican artists set the stage for future integrations of Latin American and Afro-Caribbean dance rhythms and provided a framework for the emergence of New York salsa. 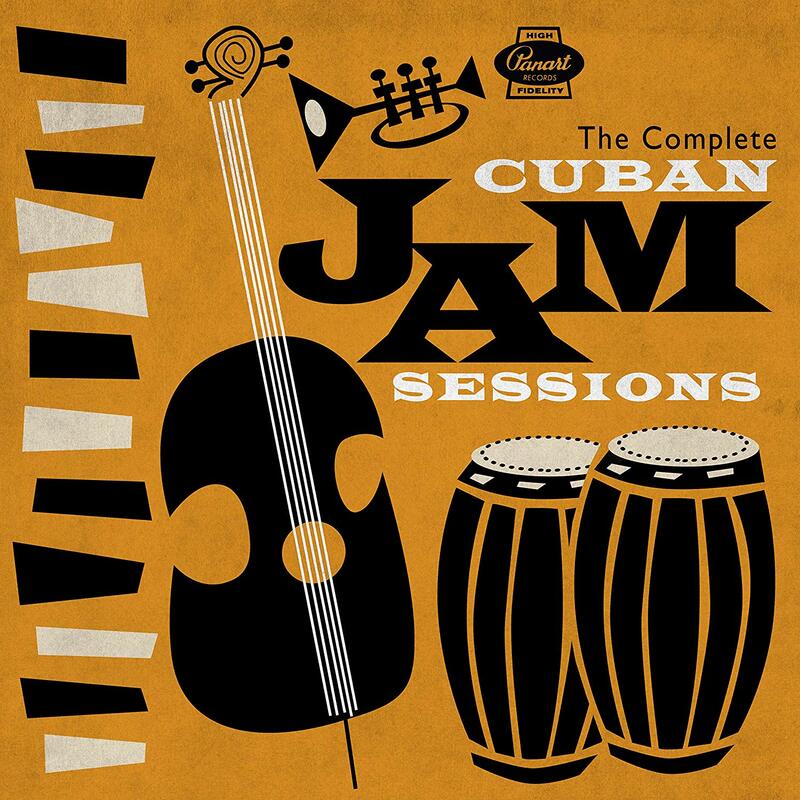 Bomba and plena puertorriqueña—two highly percussive musical traditions—achieved commercial success in the field of tropical music during the 1950s and became the main precursor towards the development of Nuyorican salsa. ¡Saoco! The Bomba and Plena Explosion in Puerto Rico, Vol. 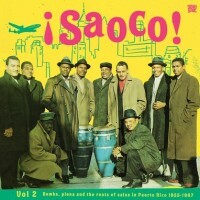 1 (1954-1966) and Bomba, Plena and the Roots of Salsa in Puerto Rico, Vol. 2 (1955-1967) are outstanding compilations of popular Boricua music. In these volumes listeners will be pleased with the selection of hits from a pantheon of Puerto Rican musicians. Often mentioned together, bomba and plena reflect the African heritage of Puerto Rico. Roots of bomba lie in the African slave communities of the 17th century. Originally a genre for percussion and voice it features Barriles—a barrel shaped membranophone much larger and deeper in sound than the Cuban conga—maracas, and an idiophone that is sometimes referred to as a catá, cuá or fuá. In contrast, plena developed one basic rhythm, features stringed instruments, and is charcterized by the Spanish lyrical poetic tradition whose typical metric combination is the décima espinela. During a time that many Caribbean elites wished to hide their Afro-Caribbean heritage, vocalist Ismael Rivera celebrated it with his topical streets sounds direct from Puerto Rican neighborhoods. Deeply percussive and oozing with African dialect, his vocal improvisations were virtuosic. Competing with the soneos of his Cuban counterpart of the ‘50s, Benny Moré, no other place is his talent more apparent than his feature in “Caballero qué bomba” with Cortijo y su Combo. Here, listeners will appreciate his skill as a bombero. Other highlights of these volumes are the contributions of the tongue-twisting Mon Rivera. Embodying his mayagüezana heritage, Mon Rivera introduced a new way of playing trombone; this “trombanga” sound replaced trumpets and saxophones with trombones and was key in the development of Nuyorican Salsa and Boogaloo. “Ron con coco” exemplifies this style. 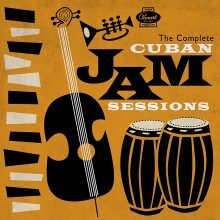 The combination between the bomba rhythms and trombone moñas became popular on many of the tracks produced by the next generation of Nuyorican salsa trombone players (e.g., Willie Colon). We have these trailblazing musical giants to thank for introducing the plena of the mixed-race, poor and working classes well as the primarily Afro-Puerto Rican vocal and percussive form, bomba, to the ballrooms of large hotels and the world stage. 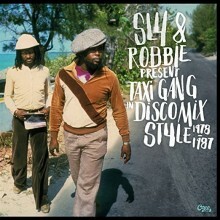 Few compilation CDs like that of that detail thoroughly the devethe ¡Saoco! volumes provide their listeners with the breadth and depth of the repertoire and valuable liner notes that detail thoroughly the development of the salsa genre—from a Puerto Rican perspective. This extremely important set is essential for all collectors of Afro-Caribbean dance music. Residing primarily in the Central American countries of Honduras, Belize, Guatemala, and Nicaragua, the Garifuna people share a distinct language and cultural traditions reflecting their heritage as descendants of Africans and Arawak Indians who intermarried as early as the 16th century. Though they’ve long struggled to maintain their cultural identity, in recent decades their situation has been made even more precarious in the face of globalization. Thankfully their musical traditions are thriving, in part due to the producers at Stonetree Records who began a project in 1995 to document and distribute the percussive musical style known as paranda. This led to the formation of The Garifuna Collective, which draws from the best musicians in the fertile Garifuna music scene. 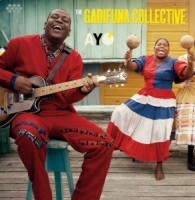 In 2007 noted Garifuna musician Andy Palacio and the Collective released their groundbreaking album Wátina through Stonetree, which received international acclaim. Tragically, Palacio passed away soon thereafter, but The Garifuna Collective remains strong, attracting a broad range of musicians, both old and young, allowing for continuity and ensuring that the music is passed on to and refreshed by new generations. This is reflected in two new projects released in 2013. On Ayó (“Goodbye” in the Garifuna language), the Collective and Stonetree producer Ivan Duran pay homage to Andy Palacio. The title track, which features a semi-sacred hungu-hungu rhythm accompanied by electric and acoustic guitars, was the first of many tribute songs composed after Palacio’s death. On “Galuma,” Belizean songwriter Lloyd Augustine reminisces about fishing, the primary occupation in his village before tourism altered the economy. The Caribbean rhythms of “Kame Báwara” transform a traditional song into a danceable paranga, while “Mongulu” provides a taste of the Collective’s preference for unison singing interspersed with call and response. Several tracks are socio-political in nature including “Beíba Nuwari,” a remake of an increasingly rare abemahani or solidarity song updated with hungu-hungu rhythms and guitars, and “Aganba” which comments on the scourge of the HIV epidemic. The album closes with another tribute to Palacio, “Seremei Buguya (Thanks to You),” this time sung by Justo Miranda, who sadly died just months after the song was recorded. Though all of the songs are sung in Garifuna, the liner notes include English translations and the Afro-Latin-Caribbean stylistic elements in the music offer a familiar sound that can readily be appreciated by all. 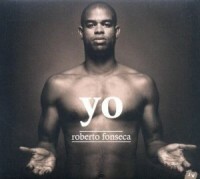 Dedicated to innovation in the jazz idiom even in his cover art, Cuban born pianist Roberto Fonseca reminds us that, “for musicians it is important to take many risks in many ways”. Growth is a necessary component of self-actualization and one cannot grow without taking on challenge. Recorded in Paris in one week, Fonseca’s Yo exemplifies a musician venturing beyond the margins of jazz by fusing Afro-acoustic instrumentation with shades of electronic music and spoken word. In each of his albums, Fonseca seems to be in a state of experimental reformation. This latest record takes his audience on yet another departure from his roles alongside Ibrahim Ferrer, Omara Portuondo and in the Buena Vista Social Club. Yo inspires us to seek inspiration in humanity and assert our connections to others through self-reflection. Like any thorough Caribbeanist with Cuban roots, Fonseca’s fascination with African antecedents continues to serve him well. In this new album, Fonseca and his Cuban counterparts combine their traditional Afro Cuban jazz rhythm section (percussionist Joel Hierrezuelo, drummer Ramsés Rodríguez and double bassist Felipe Cabrera) with superior talents from the African continent. Malian female vocal star Fatoumata Diawara is stunning on the track “Bibisa.” Installations of Sekou Kouyate on kora, Baba Sissoko (percussion), bassist Etienne M’Bappe, and guitarist Munir Hossni provide veteran poise on the album as Fonseca leads his ensemble in musical curiosity and energy. 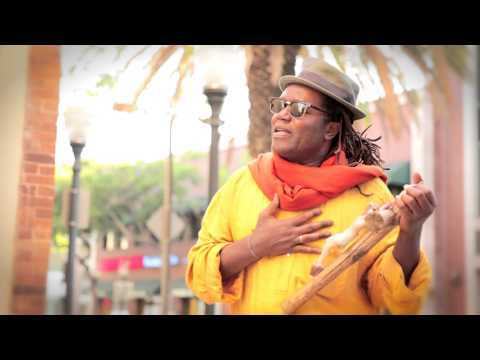 Not to be overlooked is the appearance of the great Senegalese vocalist Assane Mboup as lead in “Quien Soy Yo.” In this piece the use of the Brazilian cavaquinho is playful and the vocal timbre and harmonies wax Cuban rumba and Uruguayan murga. One could interpret the mix of these elements as a bridge, linking musical elements from the Americas to Africa. Fonseca’s minimalist take on improvisation is refreshing and a welcome change from the usual note-heavy montunos that we are accustomed to hearing from Afro-Cuban piano players. His background in percussion compliments the harmonic breadth of the piano and his gift for being able to develop elegant melodies from a single rhythmic and harmonic cell is quite fascinating. Roberto Fonseca is an eclectic, multicultural pianist and this listener is still stumped as to how to categorize his music: Afro-Pop? Latin Jazz? Acid-Afro-Cuban Jazz? Fonseca’s style is one that has never been easy to describe, but in this new album one gets sense that he is fearless in his search to express inner emotion using the vast endowments of his diverse musical universe. Fonseca is touring the U.S. this fall and will be making an appearance at the Lotus World Music & Arts Festival in Bloomington, Indiana. Redefining the lines of Afro-Cuban secular and sacred music, Dionisio de Jesús Valdés Rodríguez has gifted the music world with his most recent album, Border-Free. 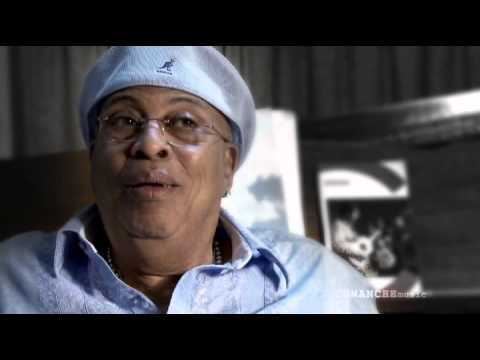 More commonly known as Chucho Valdés, this Afro-Cuban jazz giant’s bold production fuses elements of flamenco, Gnawa music of Morocco and classical music and arrives less than one year after the passing of his father, mentor, and master pianist Bebo Valdés. Deeply rooted in the tradition of fundamental practice, Chucho, with his Afro–Cuban Messengers—who all equally match his level of technical ability, intensity and natural musicality—insinuate the importance of an introspective approach to music production. Border-Free is an homage to significant players in Chucho’s life and upon listening to the 8 tracks that comprise the album, one can sense his great deal of pride in the ability to tell stories exemplifying the multifaceted nature of Afro Cuban identity. Three tracks are family tributes: “Caridad Amaro” is dedicated to Chucho’s grandmother; “Pilar” composed for his mother, includes a quotation of J.S.Bach’s “Prelude in D Minor,” with hints of Miles Davis’s “Blue in Green;” and “Bebo” was recorded both in Havana and in Málaga, Spain where Chucho relocated to be close to his ailing father. His composition “Afro-Comanche” serves as a call to action for students to examine the history surrounding events occurring in the 18th century that were integral in the mixing of Africans and Amerindians in Cuba. Without a doubt, the most exciting features of the album are Valdes’ virtuosic improvisations. Innovation will always remain the hallmark of the Valdes family of master pianists, but Chucho’s improvisations in Border-Free experiment with more esoteric means in the jazz idiom. Free meter and extended rhythmic ostinatos interlaced with installations of clave, ebb and flow to fit with any meter with out losing the essence of the groove. An astonishingly skillful grand master of piano, Chucho’s pristine, lightning fast runs and arpeggios titillate his listeners with each repetition. I can liken it to being hit in the face over and over with buckets of cool water on a hot day. Only listening to Valdés’ polyrhythmic improvisations in Border-Free is like being happily greeted by musical masses of ecstatic sonic wondrousness flowing forth from his fingertips. 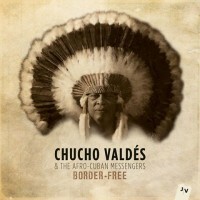 Border-Free is Valdés’ second release featuring the Afro-Cuban Messengers, a group of phenomenal Cuban musicians: Reynaldo Melián Alvarez (trumpet), Dreiser Durruthy Bombalé (batá drums and lead vocals), Rodney Barreto Yllarza (drums and vocals), Yaroldy Abreu Robles (percussion and vocals), and most appreciated for his improvisational ability is double bassist Angel Gastón Joya Perellada. From the Marsalis family of jazz, Branford Marsalis provides priceless support on three tracks, which, according to Chucho, have given color and strength to the new material. 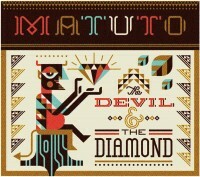 Matuto, a New York-based music project that blends Afro-Brazilian popular music and Appalachia-driven Americana, brings us twelve songs that provide a unique sonic experience in the album The Devil and the Diamond. Accordionist Rob Curto and bluegrass/jazz guitarist Clay Ross manage to create a space in which both the traditions of North American grassroots folk music and Recife’s forro and choro meet. This soulful musical stew, which tastes as if it had been cooking for generations, has been served by this group at festivals and concerts in West Africa, Europe, and across the United States. The sound resulting from Matuto’s lab is a mature blend which seems to expand and update the musical legacy of MPB (Música Popular Brasileria), refreshing the relationship that for so many decades has existed between U.S. American folk musics and Brazil’s own musical heritage. Since the mid-20th century, Brazil’s popular musics, such as samba, choro, forro and bossa-nova, have been strongly influenced by US American popular musics. However, in the late 1960s and 1970s, a new musical movement emerged called MPB, which emphasized these traditional languages but with a stronger influence from North American genres, such as jazz, rock, folk, or pop. 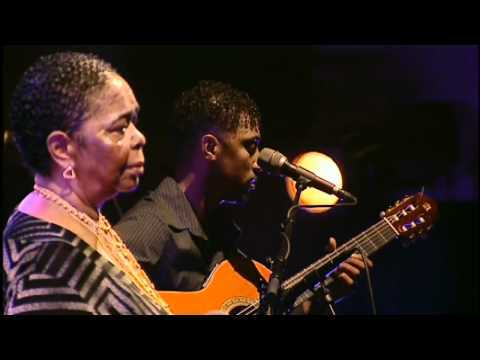 With world-class music figures such as Chico Buarque and Jorge Ben, MPB is probably one of the most listened to Brazilian styles around the globe. 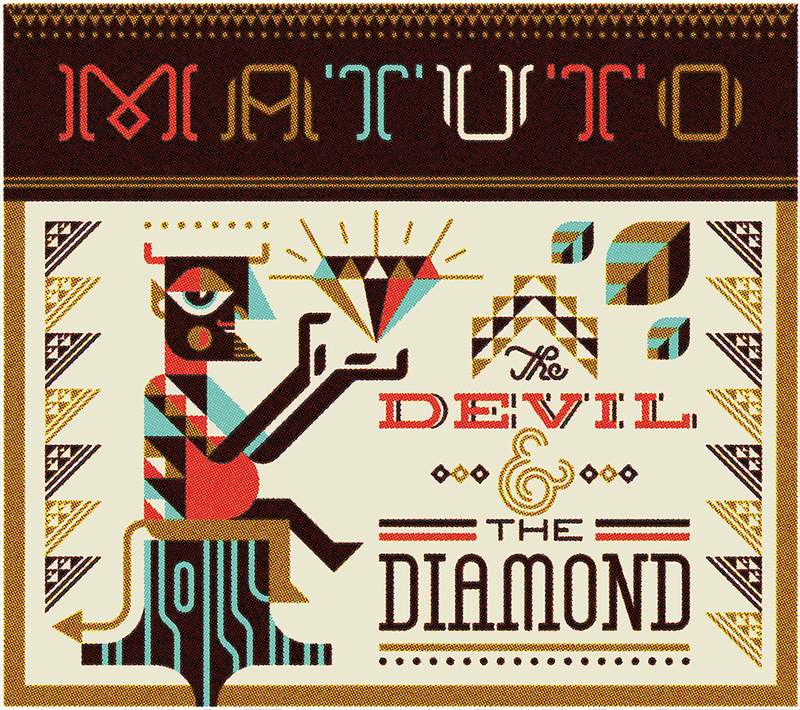 Even though guitars, fiddles and accordions are as recognizable to Braizilian audiences as they are to US American ones, Matuto seems to have taken this relationship to the next level. Because of their historic relationship, MPB and American popular styles share common grounds, but also because of this history, they have their own separate identities. Matuto breaks that barrier by bringing together what had been kept separate, so far, by using exclusively English lyrics. 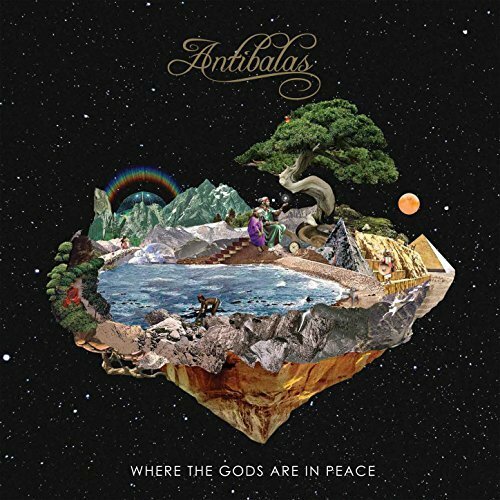 Songs such as “Diamond” (track 2), present vocal styles and arrangements that resemble some kind of indie rock/funk atmosphere, which is supported by a samba-rock groove and violin improvisations that sound like a Santana electric guitar solo. “Drag Me Down” (track 8) is an interesting melding of Delta blues accordion with berimbau (a wire-stringed musical bow used to perform capoeira music) and pandeiro (Brazilian tambourine) lines that come from the traditional samba de roda styles, mixing together two very old traditions from the Black people of Northeastern Brazil and Southern United States. 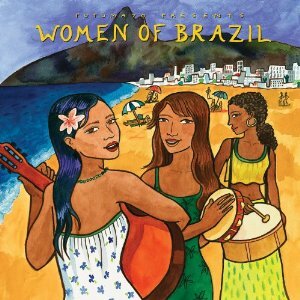 To celebrate its twentieth anniversary, world music and “world pop” label Putumayo Records has put together an incredible compilation of Brazilian contemporary female singers: Women of Brazil. This eleven-track album is full of the melodic sweetness and rhythmic spice of Brazilian women whose voices make the listener think he is in heaven. 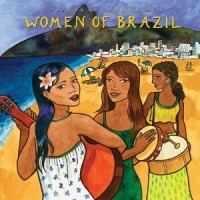 The typical Brazilian singing style, with its particular smoothness and clear technique, is the feature of this album, where exclusively Portuguese lyrics and jazz influenced arrangements of Brazilian classic songs by Caetano Veloso or Jorge Ben find a refreshing interpretation in the voices of these eleven angels. The selection of the songs and artists must have been a tough task, for Brazil is a country overflowing with musical talent and an incredibly active music industry. Nonetheless, the selection concept is very inclusive: the album features established artists from the always innovative Brazilian scene, such as Aline Morales, Luísa Maita, and Flavia Coehlo, as well as young and talented artists that are just making their way to the big stages of the global music scene, such as Miriam Aïda and Maguinha. The sensuality of this album will captivate you and will make you want to go and see these artists live, while enjoying a caipirinha on the beaches of Rio de Janeiro. 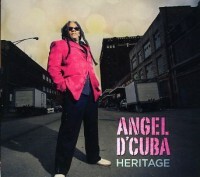 Chicago-based Cuban musician Angel D’Cuba (Angel Luis Badell), a singer and multi-instrumentalist as well as former member of the renowned Cuban band Mezcla, presents his first solo production, Heritage. 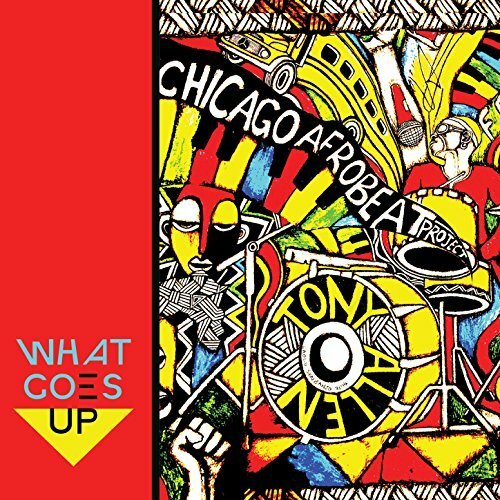 This independent release features plenty of Chicago’s musical talents, such as drummer and percussionist Jean-Christopher Leroy, trumpet player Victor García, and sax player Steve Eisen. 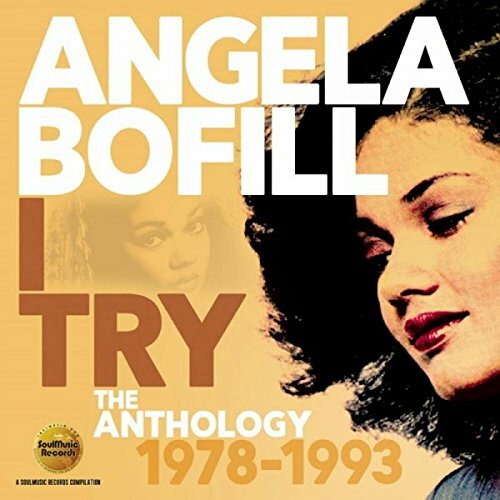 The whole album brings together a broad variety of rhythms, which reflect Angel’s experiences in Cuba and the United States: from Cuban and Caribbean rhythms, including timba, mozambique, cumbia, songo, guaracha,and even reggaeton, to that of African US-American music styles such as soul, funk, and jazz. The eleven tracks on the CD display mature arrangements that cleverly intertwine different sonorities in what seems to be an attempt to cover as many different sound fields as possible. Angels sings in many different styles in this album, demonstrating his experience and long musical career. 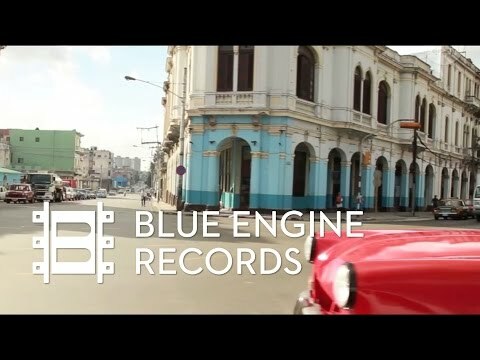 Signature Cuban sounds, however, are deeply present in Angel’s voice, the electric bass lines, and the horn arrangements, most of which have the unique flavor of timba’s orchestral sound. Impeccable recording and post-production, a tight full-fledged band, original compositions, and arrangements full of flavor and spice, are the hallmarks of this album. 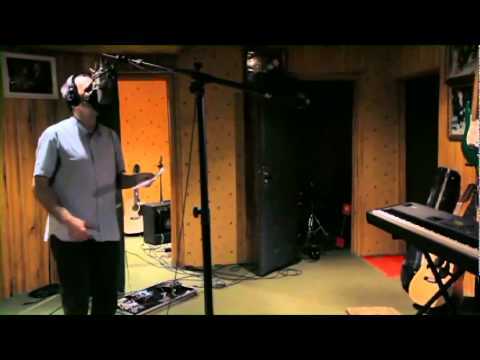 Here is a link where you can hear snippets of the whole production. Enjoy! 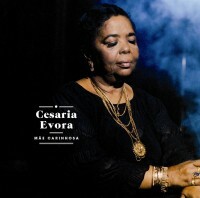 Cesária Évora, who passed away in December 2011, possessed a voice whose silken sorrow draped listeners in a slow moving fog of wistful emotions. 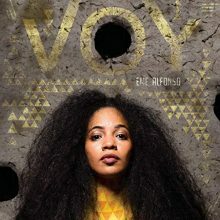 Évora was widely known as the “Queen of Morna,” a Cape Verdean musical genre that has tints of Portuguese fado, Brazilian modhinas, and British sea shanties, but is entirely unique in its own ways thanks to the underlying West African percussion. 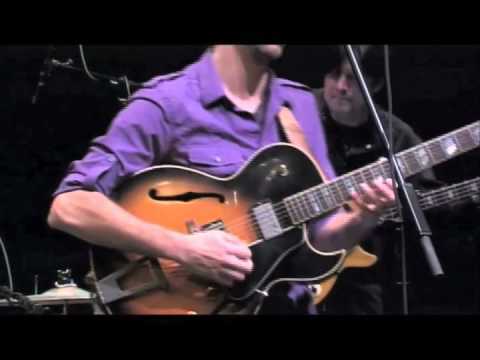 The morna ensemble is usually comprised of percussion, clarinet, violin, guitar, piano, cavaquinho (a Portuguese four string guitar), and of course, a singer. The singer subtly commands the listener’s focus and attention with romantic lyrics of love, homesickness, migrant issues and, perhaps most engagingly saudade. Saudade is a Portuguese word that is not directly translatable into music, but that described a longing for something that was loved but is gone, most likely never to return. Cesária Évora’s life was full of the kinds of experiences that would lead to strong feelings of saudade, a nostalgic yearning that coated every word she sang. Born in Mindelo, São Vicente, Cape Verde, in 1941, Évora suffered the loss of her father at age seven, and then only three years later was sent by her mother to an orphanage. Évora had a lovely voice that caught the attention of a friend who convinced her at age 16 to begin singing in local taverns, which she parlayed into singing on Portuguese cruise ships by the 1960s. In 1985, Évora was invited to perform in Lisbon, where she enraptured music producer José da Silva. He invited her to record in Paris, eventually releasing her highly successful first album, and becoming her production partner for the rest of her career. Mãe Carinhosa is the first posthumous album of unreleased Évora tracks curated and produced by da Silva. Mother tenderness could also apply to the way Évora approached the music on each of the thirteen songs. There is a quiet strength of expressivity in her voice that never sounds forced or forceful but rather subtly accepting of whatever life may bring. In spite of the expert performances from the musicians, Évora is always in the front of your mind. The way she would add a lilt to the end of a word, the world weary manner she would slow down at the end of phrases, the way she manages to dance above the accompaniment (such as on “Emigue Ingrote”) while keeping her voice smooth and grounded; all the elements of Évora’s performance show her as the master of song interpretation she was. Listening to her sing morna completely resets your mind to a space of deep feeling, regardless of whether or not you can understand the words she is saying. Mãe Carinhosa is a perfect tribute to Cesária Évora and makes listeners feel their own sense of saudade for an artist who is gone, never to return. Luckily, we will always have these mementos, recordings of her beautiful spirit and voice. 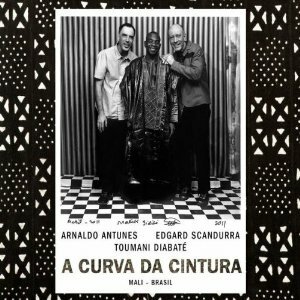 A Curva Da Cintura is an incredible reunion of Malian and Brazilian music legends, which, released under the London-based Brazilian label Mais Um Discos, brings together a soulful and unique amalgamation of sounds considered to belong to the Black Atlantic. Renowned Malian kora prodigy Toumani Diabaté (kora is a 21-strings West African harp), Brazilians guitar master Edgar Scandurra, and famous poet/singer-songwriter Arnaldo Antunes got together in Mali to record this album inspired by their original reunion to perform at the Back2Black music festival in Rio de Janeiro in 2010. The result of this back and forth between Brazil and Mali is outstanding, which is not surprising given the careers of these three musicians. Two-times Grammy winner Toumani Diabaté has brought the kora to global awareness, turning it into a persistent instrument in world music ensembles. His legacy descends from 71 family generations of kora performance and storytelling. Arnaldo Antunes (vocals and guitar) is an internationally renowned artist with more than three decades of experience in singing, songwriting, painting, literature, dance and audiovisuals. He was also the leader of Titas, a top-notch Brazilian rock band from the 1980s. Edgard Scandurra is a guitarist, singer, composer, and founding member of the Brazilian rock group Ira! 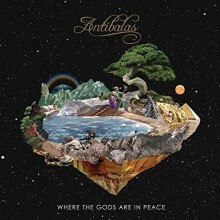 Both Antunes and Scandurra have been included in the list of “100 Greatest Brazilian Artists” by Rolling Stone Brazil. The music in this CD is not easy to classify. 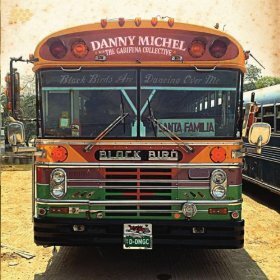 Even though there have been many collaborations between West African griots—native singer-songwriters and storytellers—and rock and blues musicians from the Americas, this particular tint of Brazilian rock, which has its own history and aural identity, makes the album a unique musical piece. The Brazilian team wrote most of the compositions, while Diabaté contributed the musicians: His son Sidiki plays kora on several tracks, Fode Lassana Diabaté on balafon (West-African xylophone), and Zoumana Tereta on violin. Despite the absence of a drumset on the album, some songs have a classic Brazilian rock sound, like the opening tune “Cê Não Vai Me Acompanhar” (“You will not follow me”), which includes Portuguese lyrics, acoustic guitars, and a counterpoint between electric guitar and kora. Other songs tend to weigh more balance on the mutual musical influences of the artists, like the title track “A Curva da Cintura” (“A waist curve”), which features balafon, djembe, and the three lute players interpreting a scale that could belong to either a griot’s sung narration, a Delta blues, or a Rolling Stones song. Track 11, “Neblina de Areia” (“Sand fog”), is a beautiful instrumental in which several layers of stringed instruments take us on a tour through the deepest realms of fusion, where the Atlantic Ocean becomes just a tiny gap that music bridges, putting hundreds of years of interrelations and history at the highlight. A Curva Da Cintura portrays a very interesting bridge between two countries that have had more in common that is usually told in official history books and in nationalist discourses. Diabaté’s Malian heritage in addition to his world music experience summed up with Antunes’s and Scandurra’s taste for MPB (“Musica Popular Brasileira”) and Brazilian rock makes this combination a bomb cocktail. 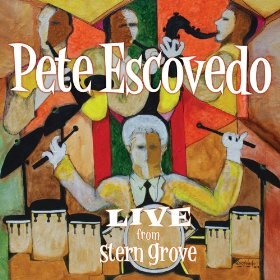 In his latest release, “Live from Stern Grove,” timbales master and bandleader Pete Escovedo, 77, demonstrates to the Latin jazz audiences that he is not done yet. In fact, he is greater than ever, accompanied by his whole family: a legacy of tremendous percussionists, arrangers, composers and singers, of which the most salient is, of course, percussion-virtuoso Sheila E. This album, released under the labels Concord Picante/Stiletto Flats Music, is an eight-track live performance conducted in early 2012 at the famous Stern Grove Festival in San Francisco. 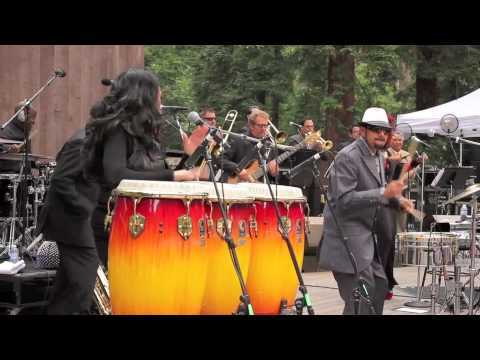 In this performance, Pete Escovedo and his Orchestra perform Latin jazz classics, like Tito Puente’s “Picadillo Jam,” as well as recent compositions like the salsa/songo “Dance,” in which daughter Sheila and father Pete share the microphone on Spanish- and English-driven lyrics. This album has plenty of fresh arrangements, brilliant improvisations, and abundant percussion solos, which are beautifully constructed the way that only collective performance throughout decades can: the feel of a reunited family. Pete Escovedo is on timbales, Juan Escovedo on congas, and Peter Michael Escovedo on the drumset. Daughter Sheila appears in just a couple of songs, which makes her presence even more meaningful in this production, where she is also co-producer along with her father. A fundamental addition to this already wonderful mix is the guest appearance of trumpet-genius Arturo Sandoval on the closing track, “Sueños de los toreros,” where he contributes to the grand finale of this amazing concert. 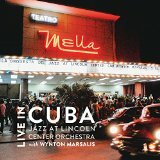 In general, this album is a masterful and all encompassing sample of the renewed classic sound of Latin jazz in the 21st century. Not only is this album finely produced, with a thick recording sound and crew of world class musicians, but also finely crafted music-wise, where the singer songwriter’s skills are demonstrated by the creation of a unified musical and lyrical concept of romanticism. Álvarez’s voice makes one think of legendary Cuban troubadour Pablo Milanés, but in a kind of contemporary version: an updated Cuban trovador, renovating one of Cuba’s most influential popular musics.